Donald Trump has made a pledge to end the HIV/Aids epidemic in America during the State of the Union speech. During his first two years in office, the president has dissolved the Office of National Aids Policy and dismissed the whole Presidential Advisory Council on HIV/Aids back in 2017 and not to mention introduced the ban on transgender people serving in the armed forces. But on Tuesday (January 5), the president pledged to boost funding to help eradicate HIV in America. He said: “No force in history has done more to advance the human condition than American freedom. “In recent years we have made remarkable progress in the fight against HIV and AIDS. Despite pledging to support funding for HIV treatment, Trump failed to mention the need to reach out to minority communities. But LGBT+ activists were sceptical about the president’s pledge and Asia Russell of HIV charity Health GAP said: “This pledge must be contrasted with the hard facts. 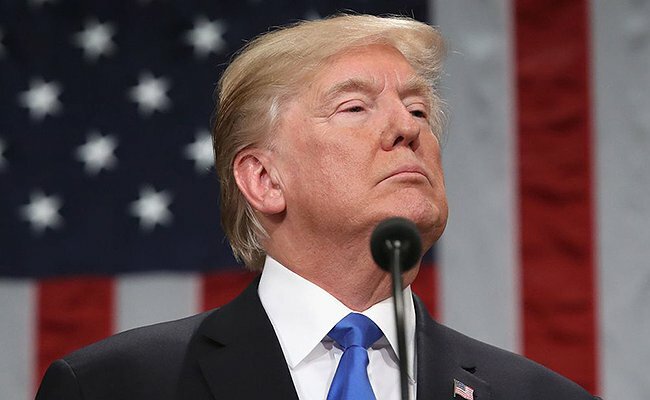 Sarah Kate Ellis of GLAAD added: “President Trump once again presented a broad strokes narrative that people with HIV and AIDS, including LGBTQ Americans, simply can’t trust. Check out the original story here: Attitude Magazine.